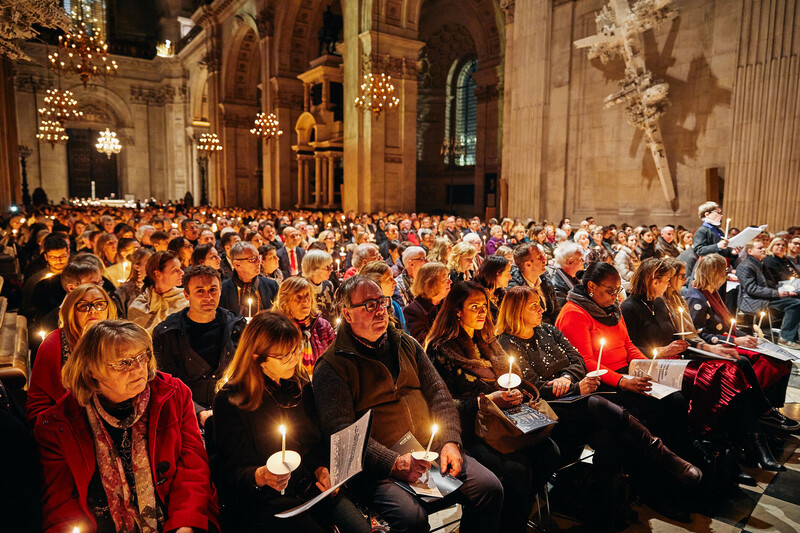 Thank you so much to everyone who attended Love Christmas 2018. You’ve helped us to raise over £80,000 which will help Age UK be there for older people who have no one else to turn to. The evening was hosted by Penny Smith and held at the iconic St Paul's Cathedral. Our guests were treated to a wonderful variety of musical performances by Russell Watson and Laura Wright and a festive mix of readings from Caroline Catz, Gina McKee, Len Goodman, Penelope Wilton and Jo Wood.